CERN IS BACK FOR GRAPHIC ATTACK! Last October, Estria held his “Don’t Sweat the Technique: Ode to the Spray Can” exhibition at 1:AM gallery. During that show, we displayed works by CERN, a New York graffiti artist who creates a unique blend of fantasy and realism and blurs the lines between graffiti and fine art. Cern began writing graffiti in the early 90’s. 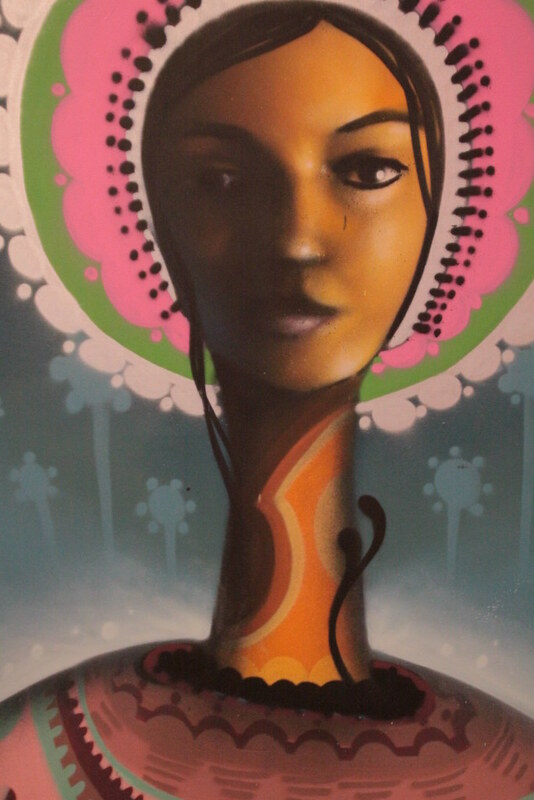 Diverse in his scope, he has created numerous collaborative murals with the YMI crew and artists around the world; and he has also exhibited canvas and watercolor works in galleries in New York City and beyond. Cern has been included in books such as Burning New York and Graffiti World. Be here for the opening of Graphic Attack! this Friday, May 7th from 6-10pm!